You are here: Home / Right Now / News / Polo Ralph Lauren is open! Polo Ralph Lauren is open! 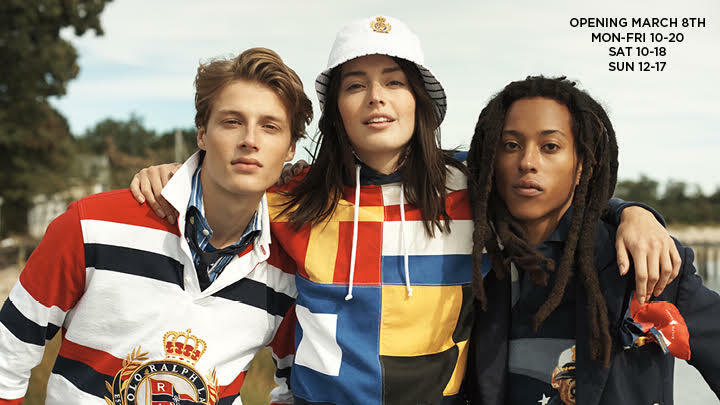 We are happy to announce that Polo Ralph Lauren is now open at the corner of Aleksanterinkatu and Mikonkatu. https://www.kampgalleria.com/wp-content/uploads/2018/12/Ralph_Lauren.jpg 405 720 Meri Peltola https://www.kampgalleria.com/wp-content/uploads/2018/09/kamp-galleria-logo-web.png Meri Peltola2019-03-18 10:31:282019-03-18 11:43:57Polo Ralph Lauren is open!